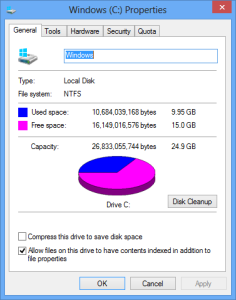 In the process of doing a complete factory reset of my 32GB Surface RT, I tracked the available free space over the course of a couple updates to see how much space each update uses. The Microsoft Surface RT was released October 26, 2012. I purchased my 32GB Surface on November 4th, 2012 so the refresh should have brought the Surface RT back to the original Windows RT operating system image before Microsoft applied any updates. Right after the complete system refresh, the 32GB Surface used 7.89GB with 17GB free space. After the first set of updates, the 32GB Surface used 8.6GB with 16.3GB free space. The update added about 700MB of data. 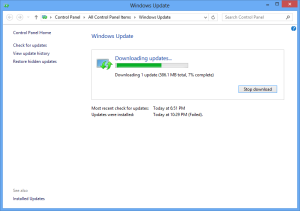 The second set of updates consisted of 10 updates, including another firmware update. After the second set of updates, the 32 GB Surface used 8.79 GB with 16.1 GB free space. The update added about 200 MB of data. 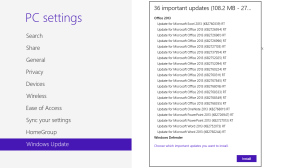 There were no more system updates, for now, so I moved on to updating Microsoft Office Home & Student 2013 RT Preview to the full final version. 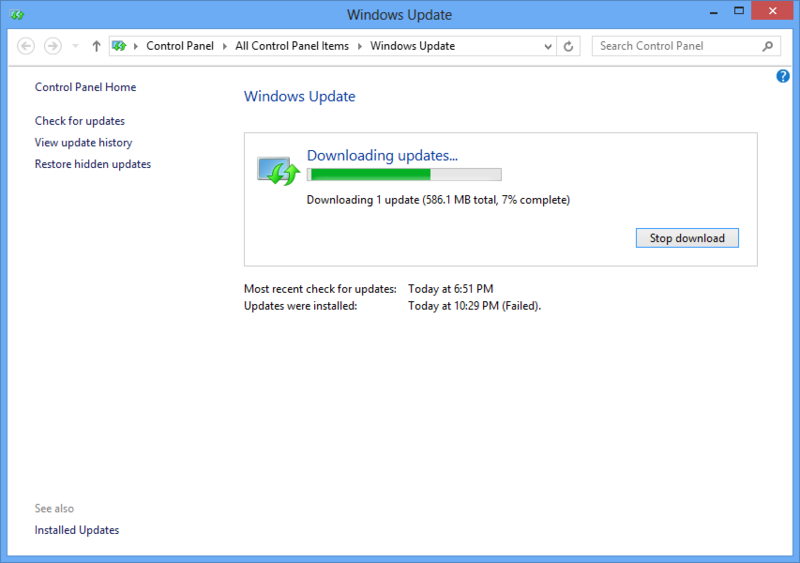 The update was 586.1 MB to download. After the Office update, the 32 GB Surface used 9.31 GB with 15.6 GB free space. The update added about 500 MB of data. 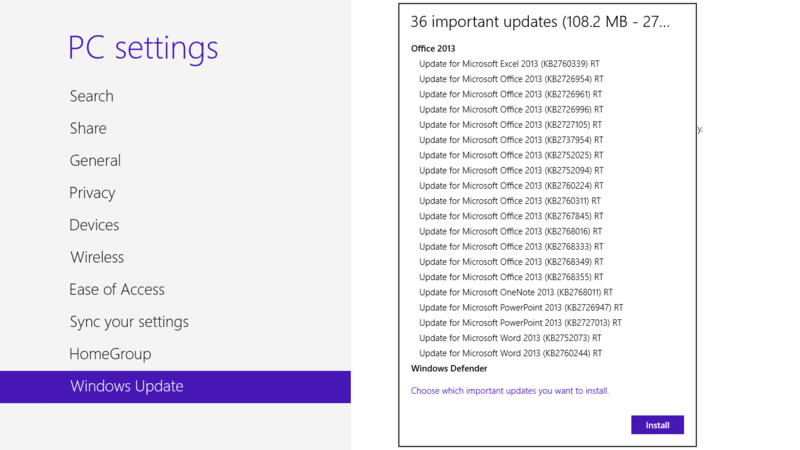 The next system update consisted of Microsoft Office 2013 RT updates. After the Office update, the 32 GB Surface used 9.95 GB with 15.0 GB free space. The update added about 600 MB of data. Overall, the system updates and the Office updates added about 2 GB of data. I have included a summary table below for quick reference.